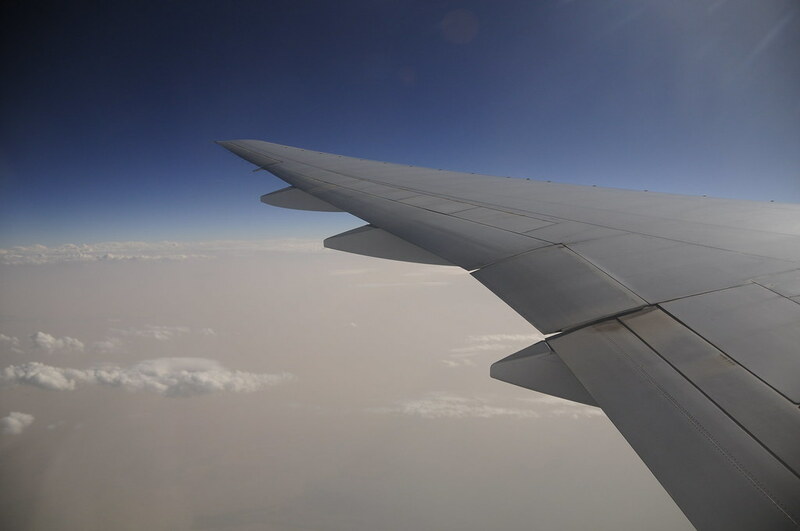 From 30,000 feet, a dust storm is rather beautiful. That's what we should do in fact: we should build stations high up where the weather is both cooler and dust-free. Just look at that blue sky! Even dust seems to produce beauty: I love the view above - taken from our cruising altitude. 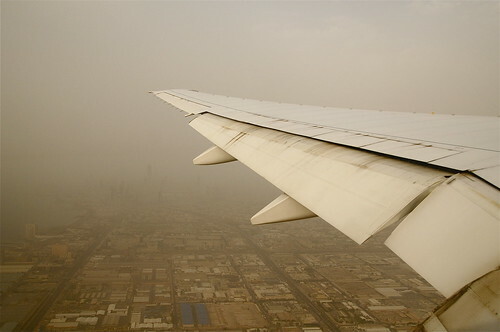 Dubai wasn't anywhere near as dusty as Kuwait - but it was a 'yellow' journey from start to finish. 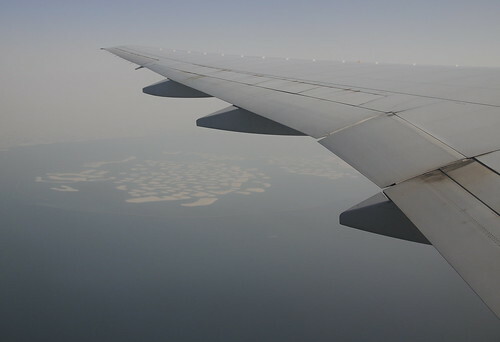 Below are a few shots from the trip, starting with the airport, Dubai, the 'World' and Kuwait. As we were landing, the wind made the captain pay a little more attention. It was so dusty, visibility was poor. The ugly shacks you see below are Shuwaikh Industrial area and Rai. 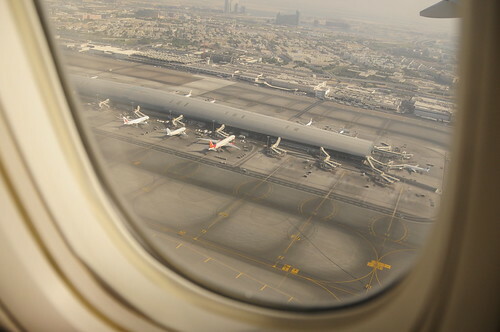 From this position, I usually get a wonderful view of Downtown - with Kuwait Towers in the very far distance. Have a look at the larger version, you may just be able to make out some of the taller buildings.